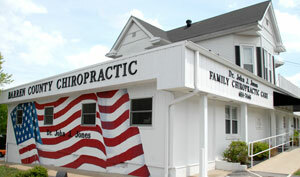 After Hours: Dr. Jones has a 24 hour answering service for emergencies. Just call the regular office number (270) 651-7465. A message will be sent to Dr. Jones! One block off the city square heading East on Hwy 90. Just look for the white building with the big American Flag on the side.